Rather than the classic Mediterranean beach holiday, how about something active, healthy and uplifting. Austria is a country that will make you want to sing (the hills are alive). Chocolate box villages nestle between striking mountain peaks. Rolling hills of green countryside are patterned with fragrant flowers and mooing cattle. No country in Europe can rival Austria on its Alpine charm. Pretty meadows, refreshing glacial streams and fairy-tale villages take you back to un-hurried time. 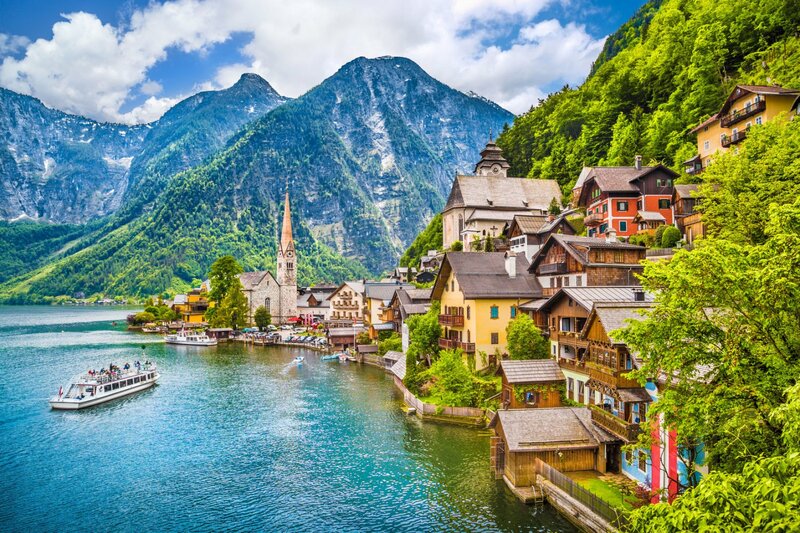 Blessing the world with some greats, Austria has been home to some famous names: The sound of music, Arnold Schwarzenegger, Mozart, Conchita Wurst, Ferry Porsche, Sigmund Freud and the sewing machine (to name a few). Things to do: Austria takes you back to nature and in to the great outdoors; hiking, walking, climbing and cycling are all summer holiday favourites. Glistening lakes offer all types of activities for everyone to enjoy. You can also discover the historic city of Vienna, visit fascinating museums or simply sing your heart out in beautiful meadows (that one’s optional). Where to stay: Ebner’s Waldhof am See is surrounded by unspoilt nature on the eastern shore of Lake Fuschl. There is a small shingle beach, sunbathing lawns and little rowing boats. Majestic Montenegro shows us that the best things really do come in small packages. This Balkan beauty is a summer holiday treat. Home to some beautiful beaches, dramatic mountains and quaint seaside towns, reminiscent of Italy. Still happily hiding under the radar, Montenegro is great for a beach holiday mixed with culture and adventure. Historic rural hamlets, glacial lakes and crystal clear Adriatic waters all make this little gem easy on the eyes. Things to do: In Montenegro you can enjoy the usual bag of holiday treats including hiking, cycling and eating. Mix it up with white water rafting, sea kayaking and bird watching. Visit the UNESCO world heritage site Bay of Kotor resembling a fjord and discover 4 national parks of unrivalled beauty. Where to stay: Situated on a luxurious yacht marina in Tivat, Regent Porto Montenegro is a great base to explore Montenego. This hotel is just a 30 minute taxi from Budva and overlooks the stunning Bay of Kotor. The second smallest island of the Canary Islands, La Gomera has a laid-back, quieter vibe than its neighbours. Its wild beauty attracts those looking for something a little different for their summer holidays. 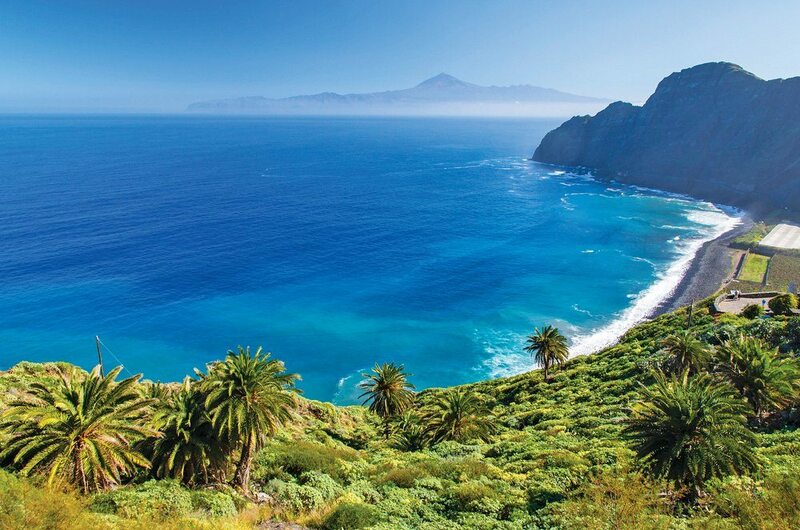 Just a 40 minute ferry from Tenerife means this unspoilt island is very easy to reach; yet still you feel like you’ve arrived somewhere exotic and far away. Quiet fishing villages, untouched volcanic beaches and mythical forests are some of the many draws of this unique island. Things to do: The climate is warm year round, so perfect for water sports. The landscapes are a magnet for hikers but there is a fantastic range of outdoor activities for all types of traveller. Don’t miss the overhanging restaurant Mirador de Abrante with outstanding views of Mount Teide and Tenerife. Where to Stay: Hotel Jardin Tecina is spread out across beautiful landscaped gardens in Canarian-styled bungalows. The extensive grounds mean you’ll scarcely see another soul. Trade in bikini clad beaches and sweltering sunshine for a whole new world of beauty. Spellbinding mountain peaks, impossible greenery and a wonderful culture of friendly and approachable people. Switzerland’s unrivalled beauty and clean, healing air make it the perfect destination for a summer holiday, whether for a family or a couple. Well known for their excellent time keeping Switzerland has some incredible rail journeys taking in out of this world scenery. Speed past medieval villages, fairy tale castles and unreal mountain views. Things to do: The mountainous landscapes make for a long list of things to do; hiking, climbing, cycling, zip lines, cable cars, glaciers and much more. In Switzerland you are never to far from a lake for swimming and lakeside activities. Don’t forget to sample a Swiss cheese fondue and bring home some of Europe’s best chocolate. Where to stay: Beausite Park Hotel is located in the car-free village of Wengen. Its fantastic location enjoys fantastic views of the Jungfrau Mountain and the surrounding alps. The Italian lakes will always leave a lasting impression. Crystal clear lakes are backed by rugged mountains and small quaint towns dot the lakes shores. A holiday to the lakes is truly unique. Charming towns, jaw dropping views and a touch of adventure all make this region an exciting option for a summer holiday. Perfect for everyone, families can find adventure on the water and couples can toast a glass of Bardolino wine over jaw dropping lake views. Things to do: Due to its wonderful warm summers, the lakes are perfect for swimming, sailing and simply relaxing on the water’s edge. Adopt the glamourous Italian life in boutique cafes and lakeside restaurants. Taste the local wines and tour the local vineyards. Stop off in Verona for a world renowned opera performance and a summer city break. 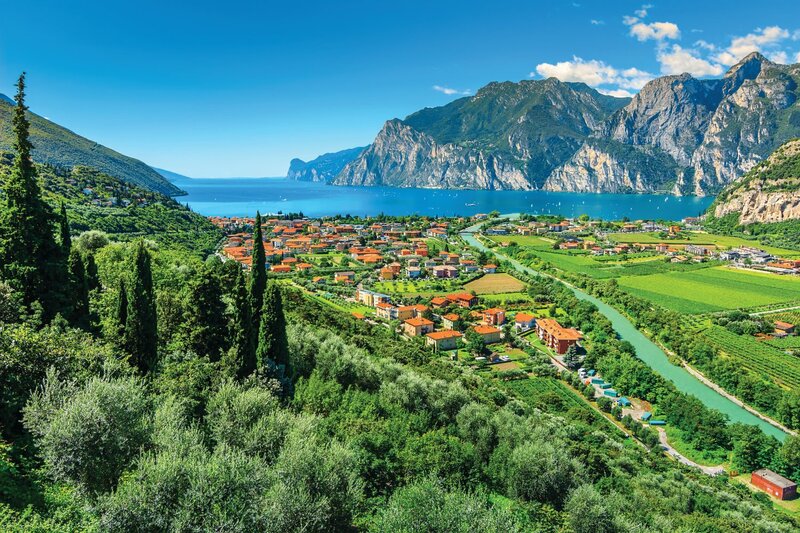 Where to stay: On the shores of Lake Garda, Aqualux Hotel Spa Suite & Terme is ideal for relaxing and exploring the region. Located in the town of Bardolino there is a small beach just 800m away. For more holiday ideas visit our website. Have you been to any of these places? We’d love to hear about your unique holidays in the comments below.